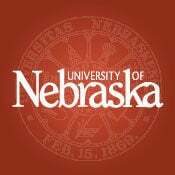 More than 5,300 University of Nebraska-Lincoln students have been named to the deans' list/Explore Center list of distinguished students for the fall semester of the 2018-19 academic year. Qualification for the Deans' List/List of Distinguished Students varies among the eight undergraduate colleges and the Explore Center. Arlington: Jacob Joseph Allen, senior, Dean's List, College of Journalism and Mass Communications, broadcasting, and advertising and public relations; Madison Elizabeth Baumert, sophomore, Explore Center List of Distinguished Students, Explore Center, pre-health; Ethan Anthony Gubbels, senior, Dean's List, College of Arts and Sciences, physics; Chloe Lynn Iossi, freshman, Dean's List, Hixson-Lied College of Fine and Performing Arts, art; Braden Merle Johnson, sophomore, Dean's List, College of Engineering, construction management; Hannah Lynn Marquardt, senior, Dean's List, College of Journalism and Mass Communications, advertising and public relations. Cedar Bluffs: Zoe AnnLouise Trautman, junior, Dean's List, College of Arts and Sciences, computer science. Dodge: Nolan Ryan Lund, junior, Dean's List, College of Engineering, civil engineering. Fremont: Meredith Rae Batten, junior, Dean's List, College of Agricultural Sciences and Natural Resources, veterinary science and pre-veterinary medicine; Joshua Matthew Nathaniel Bearden, freshman, Dean's List, College of Engineering, computer engineering; Jaydn Ashley Bernt, sophomore, Dean's List, College of Journalism and Mass Communications, advertising and public relations; Andrea Contreras, senior, Dean's Lists, College of Arts and Sciences and College of Journalism and Mass Communications, psychology, and advertising and public relations; Jennifer Jamie Davis, senior, Dean's List, College of Arts and Sciences, biological sciences; Jonathan Charles-David Dye, senior, Dean's Lists, College of Education and Human Sciences and College of Journalism and Mass Communications, elementary education and broadcasting; Kenedi Lynn Holck, sophomore, Dean's List, College of Arts and Sciences, psychology and biological sciences; Carey Elizabeth Kyes, junior, Dean's List, College of Arts and Sciences, psychology; Samuel Joseph Martinez, sophomore, Dean's List, College of Arts and Sciences, microbiology; Anya Igorevna Morozov, sophomore, Dean's List, College of Arts and Sciences, biological sciences; Abbigail Christine Norris, senior, Dean's List, College of Education and Human Sciences, elementary education; Adam Orr, freshman, Dean's List, College of Engineering, mechanical engineering; Nathaniel Scott Pester, junior, Dean's List, College of Arts and Sciences, psychology; Trenton Taylor Poley, sophomore, Dean's List, Hixson-Lied College of Fine and Performing Arts, music education; Drake Joseph Roof, senior, Dean's List, College of Arts and Sciences, history; Andrew James Schaller, senior, Dean's List, College of Engineering, construction management; McKenna Jane Schneider, freshman, Dean's List, College of Arts and Sciences, English; Leah Christine Vobejda, junior, Dean's List, College of Education and Human Sciences, elementary education; Jessica Anne Wheeler, sophomore, Dean's List, College of Engineering, software engineering; Sarah Ione Wulf, freshman, Dean's List, College of Agricultural Sciences and Natural Resources, agronomy. Herman: Scot Gordon Anderson, junior, Dean's List, College of Education and Human Sciences, social science; Gage Gregory Hoegermeyer, senior, Dean's List, College of Agricultural Sciences and Natural Resources, integrated science; Tyson Leon Horn, senior, Dean's List, College of Education and Human Sciences, social science; Jessi Jorge Meyer, sophomore, Dean's List, College of Agricultural Sciences and Natural Resources, agribusiness; Bryan Michael Petersen, junior, Dean's List, College of Agricultural Sciences and Natural Resources, applied climate science. Hooper: Alex Michael Hagerbaumer, freshman, Dean's List, College of Engineering, civil engineering; Taylor Lynn Landholm, senior, Dean's List, College of Arts and Sciences, psychology; Tyler Jonathan Ruwe, junior, Dean's List, College of Engineering, civil engineering; Maggie Rae Swenson, senior, Dean's List, College of Education and Human Sciences, elementary education. Linwood: Alexandria Lynn Humlicek, sophomore, Dean's List, College of Agricultural Sciences and Natural Resources, agribusiness. Malmo: Bailee Ryann Schubauer, senior, Dean's List, College of Business, business administration and accounting; Kevin James Sousek, junior, Dean's List, College of Engineering, agricultural engineering; Dylan TePoel, senior, Dean's List, College of Agricultural Sciences and Natural Resources, mechanized systems management. Mead: Ethan Sandford Dyas, freshman, Dean's List, College of Engineering, software engineering; Samantha Ann Steward, senior, Dean's List, College of Agricultural Sciences and Natural Resources, horticulture. Nickerson: Nicholas Austin Fauss, junior, Dean's List, College of Arts and Sciences, classics and religious studies, and history; Grace Elizabeth Harmon, senior, Dean's List, College of Journalism and Mass Communications, broadcasting and journalism; Nicholas Ryan Taylor, junior, dean's list, College of Engineering, agricultural engineering. North Bend: Kiley Kathleen Allgood, freshman, Dean's List, College of Education and Human Sciences, communication sciences and disorders; Hunter Charles Cave, senior, Dean's List, College of Arts and Sciences, psychology; Jack Douglas Post, sophomore, Dean's List, College of Engineering, civil engineering; Gatlin Jacob Sindelar, junior, Dean's List, College of Engineering, construction management; Jake Ryan Wietfeld, sophomore, Dean's List, College of Engineering, construction engineering. Prague: Ashley Elizabeth Lloyd, junior, Dean's List, College of Agricultural Sciences and Natural Resources, biochemistry. Scribner: Ryan Douglas Langemeier, senior, Dean's List, College of Agricultural Sciences and Natural Resources, plant biology and agronomy; Kalli Ranee Meyer, freshman, Dean's List, College of Journalism and Mass Communications, advertising and public relations; Brendan Michael Pojar, freshman, Dean's List, College of Engineering, agricultural engineering. Snyder: Maci Kristeen Hunke, senior, Dean's List, College of Education and Human Sciences, elementary education and special education (K-6). Wahoo: Hailey Bohac, sophomore, Dean's List, College of Education and Human Sciences, nutrition and health sciences; Kristin Nicole Callan, freshman, Dean's List, College of Journalism and Mass Communications, advertising and public relations; Lauren Christina Crockett, senior, Dean's List, College of Education and Human Sciences, nutrition and health sciences (nutrition science option); Emily Harrell, senior, Dean's List, College of Education and Human Sciences, elementary education; Emma Elizabeth Hastings, sophomore, Dean's List, College of Journalism and Mass Communications, journalism, and advertising and public relations; Sydney Renee Holdsworth, freshman, Dean's List, Hixson-Lied College of Fine and Performing Arts, music education; Lowell Amandus Johnson, senior, Dean's List, College of Engineering, biological systems engineering; Vincent Thomas Konecky, senior, Dean's List, College of Agricultural Sciences and Natural Resources, agronomy; Patricia Koranda, senior, Dean's List, College of Education and Human Sciences, elementary education; Daniel John Krueger, junior, Dean's List, College of Arts and Sciences, ethnic studies and sociology; Lucas David Mach, freshman, Dean's List, College of Engineering, civil engineering; Nathan Michael Meduna, senior, Dean's List, College of Engineering, agricultural engineering; Cheyenne Adriane Moore, freshman, Dean's List, College of Arts and Sciences, history, anthropology, and Medieval and Renaissance studies; Andrew Sladky, sophomore, Explore Center List of Distinguished Students, Explore Center, undeclared-undergraduate; Haley Rose Thiele, junior, Dean's List, College of Education and Human Sciences, nutrition and health sciences (nutrition and dietetics option); Noah Michael Vedral, sophomore, Dean's List, College of Arts and Sciences, communication studies; Evann Hardy Vrana, senior, Dean's List, College of Education and Human Sciences, child, youth and family studies; Machala Kay Woodcock, freshman, Dean's List, Hixson-Lied College of Fine and Performing Arts, graphic design. Weston: Elizabeth Agnes Sousek, junior, Dean's List, College of Education and Human Sciences, child, youth and family studies. Yutan: Morgan Lynn Burkle, senior, Dean's List, College of Education and Human Sciences, elementary education; Tyler Alan Burkle, sophomore, Dean's List, College of Journalism and Mass Communications, broadcasting; John Normans Grinvalds, sophomore, Dean's List, College of Journalism and Mass Communications, journalism; Bailey Michelle Josoff, junior, Dean's List, College of Education and Human Sciences, elementary education and special education (K-6); Nealie Breanne Josoff, junior, Dean's List, College of Education and Human Sciences, elementary education; Christian Michael Keays, junior, Dean's List, College of Education and Human Sciences, nutrition and health sciences; Tyler Jacob McLaughlin, freshman, Dean's List, College of Engineering, mechanical engineering; Ellie Nicole Petersen, sophomore, Dean's List, College of Education and Human Sciences, nutrition and health sciences; Karly Anne Zaugg, junior, Dean's List, College of Education and Human Sciences, elementary education.